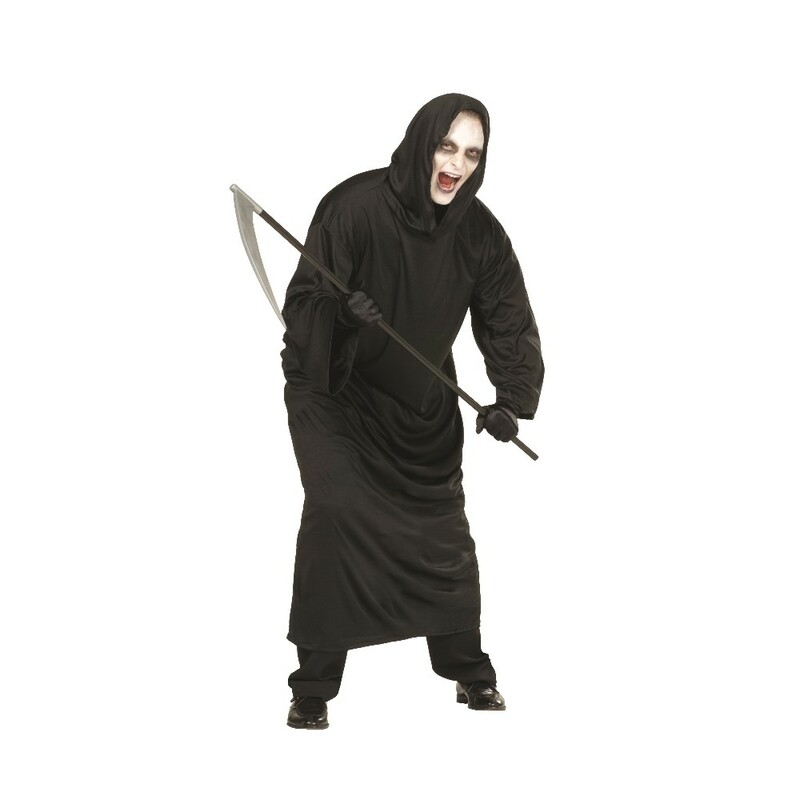 Scare up some Halloween fun when you create the creepy character of your choice with this Evil Ghoul Robe Adult Mens Costume. It includes a one piece flowing black robe with attached hood. *Shoes, weapon, and makeup not included. Shoes, gloves, mask, and scythe.